Del Morino tractor backhoes are superbly engineered attachments, which can easily be fitted to any 18-120hp tractor. They are designed and built in Italy by Del Morino and sold throughout the world. A Del Morino tractor backhoe attachment has superior engineering to many other tractor backhoe brands. They are designed to dig effectively, for years of back-saving work. 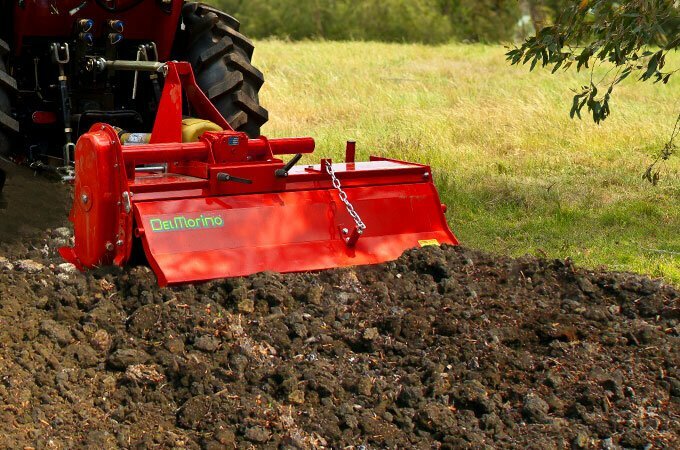 Del Morino linkage rotary hoes are extremely durable and suitable for commercial applications as well as lifestyle farms. SOTA stocks Del Morino backhoes to suit 18hp to 120hp tractors. A quality rotary hoe attachment should last for years and Del Morino rotary hoes do just that. SOTA is the exclusive importer of Del Morino rotary hoes and we sell directly to our customers; our prices are extremely competitive. Del Morino produces world-class, precision-engineered tractor implements and tractor attachments that won’t vibrate to bits and won’t randomly chew belts. Del Morino tractor implements are manufactured in Italy and perform as they should, year after year. They are suitable for commercial applications and also for lifestyle farms where durability and performance are key. Del Morino tractor implements are backed by a 2-year factory warranty and exclusive to SOTA Tractors. > Why choose Del Morino Implements? 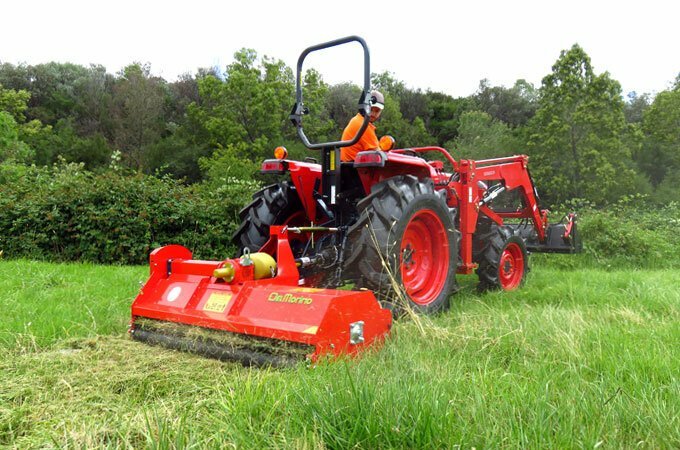 Del Morino FP158 flail mower. 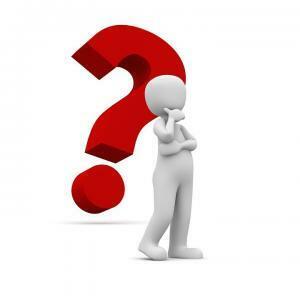 Unsure which implement or model is appropriate for your tractor? Please ring us on 1300 767 297 or email SOTA here. We’re happy to assist! Del Morino utilises Italian components and Italian design and build quality. While there are numerous Chinese knock-offs, they are simply not in the same class when it comes to performance and longevity. We love Del Morino implements at SOTA because of the company's precision engineering. This is essential for more complex implements where belts, pulleys, gears and high speed shafts are involved, such as flail mowers and finishing mowers. Del Morino Backhoes are superior backhoes. Del Morino is the choice for commercial farms and discerning acreage owners, when quality and longevity matters. Del Morino - A Fine Finish! 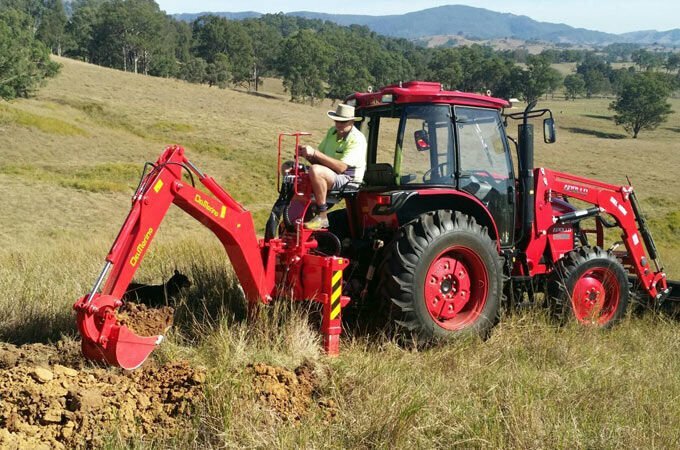 Gary Jiang – FARMTRAC 690 DT, Tasmania.